Recently, Jack and I took ourselves up to London for a couple of days to celebrate his birthday. Every year, we always make it our mission to go away somewhere for his early/belated birthday celebrations. Jack chose London again this year as it's fairly close to home, yet far enough to warrant staying the night. It also has so many fun and unique things to offer! 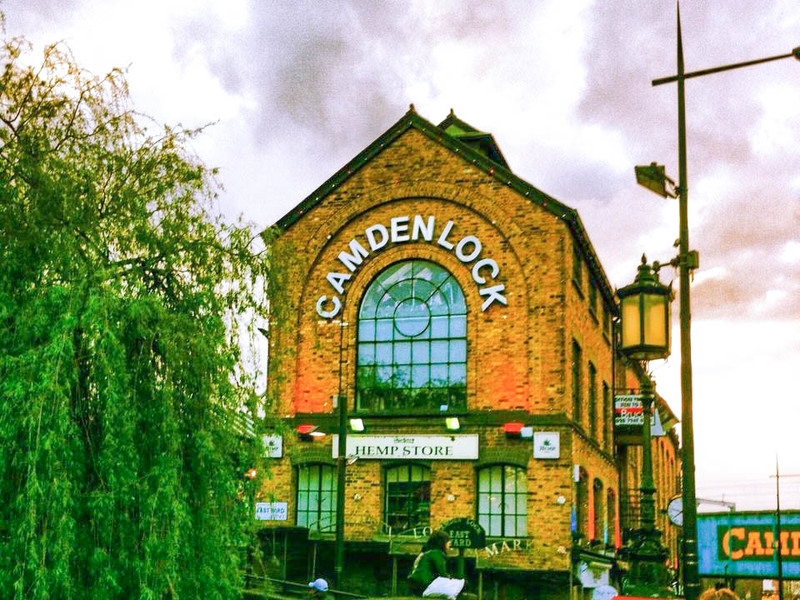 London hotels are expensive at the best of times, but the Summer Holidays basically mean you can kiss goodbye to any decent hotel with a deal. We decided to stay slightly out of the city in Chiwick, about a 25 minute tube ride away. We booked the Best Western Chiswick Palace & Suites as it seemed nice enough on the website and it was the cheapest we could find at the time. So, I know you're all dying to know.. Was it a real palace? Sadly not. It was alright but we got put in a room that was basically resembled a basement studio flat without the kitchen. It was all very odd but for a place to rest your head for one night, I guess it could have been worse! Totally irrelevant photo to break up the text because I barely took any photos. When we first arrived in London (instead of going straight to our hotel) we made tracks to the Hyde Park boating lake, as we thought I'd be fun to go for a casual row. However, we ended up giving it a miss as we weren't willing to take out a loan and pay £10 for half an hour of rowing! By mid afternoon, we were both absolutely starving so we had planned to go to the Hard Rock Cafe. 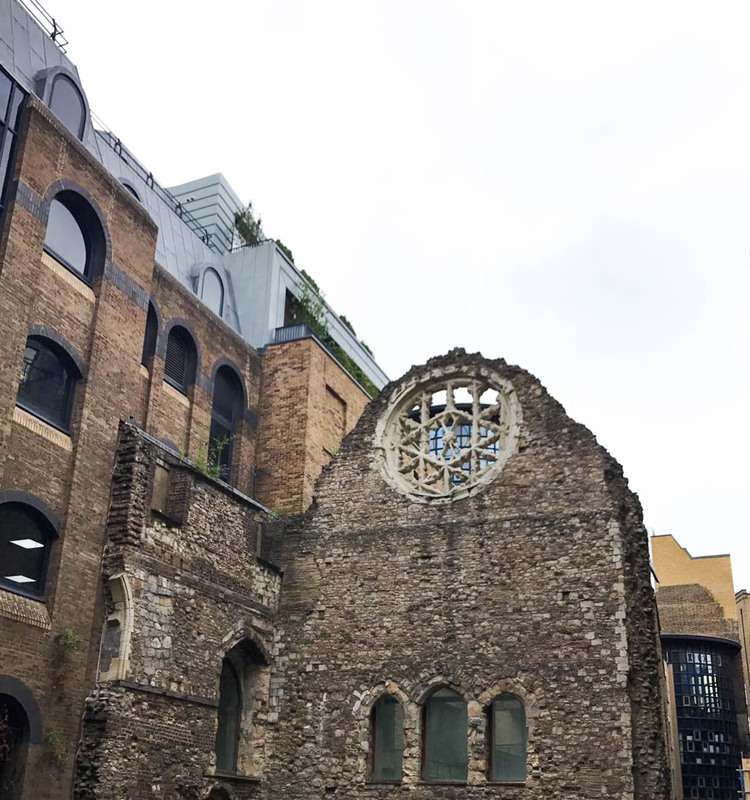 I had never been to the one in London before, so this was another one to tick off the list! We sat at the bar whilst waiting for our table, which seemed like the perfect excuse to drink cocktails at 3pm (and not care who was judging). Before we knew it we managed to get our table and our food arrived fairly quickly. We each got an amazing burger with garlic and parmesan fries (which everyone needs in their life) and a stack of onion rings (which are a solid 10/10) to share! Sadly, we couldn't finish it all and we decided to head back to our hotel to take a post dinner nap before heading back out. 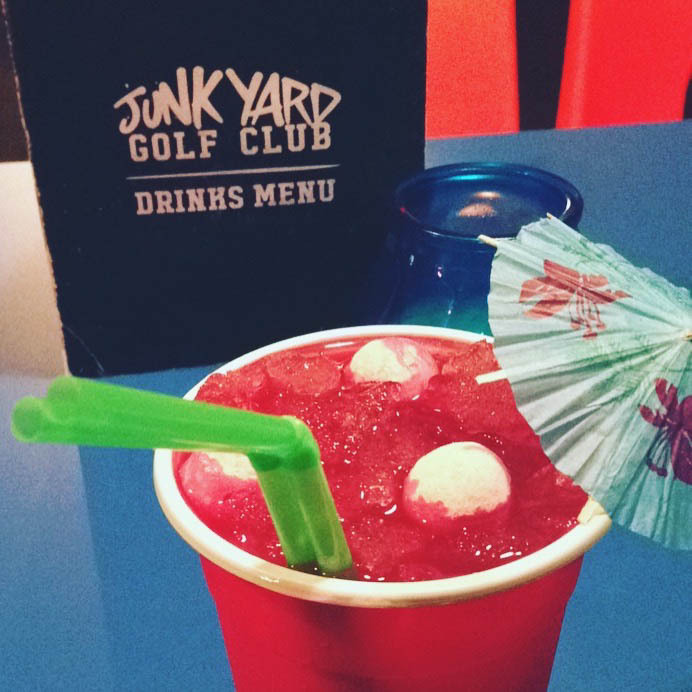 For the evening, we booked Junkyard Golf Club situated on London's famous Brick Lane. 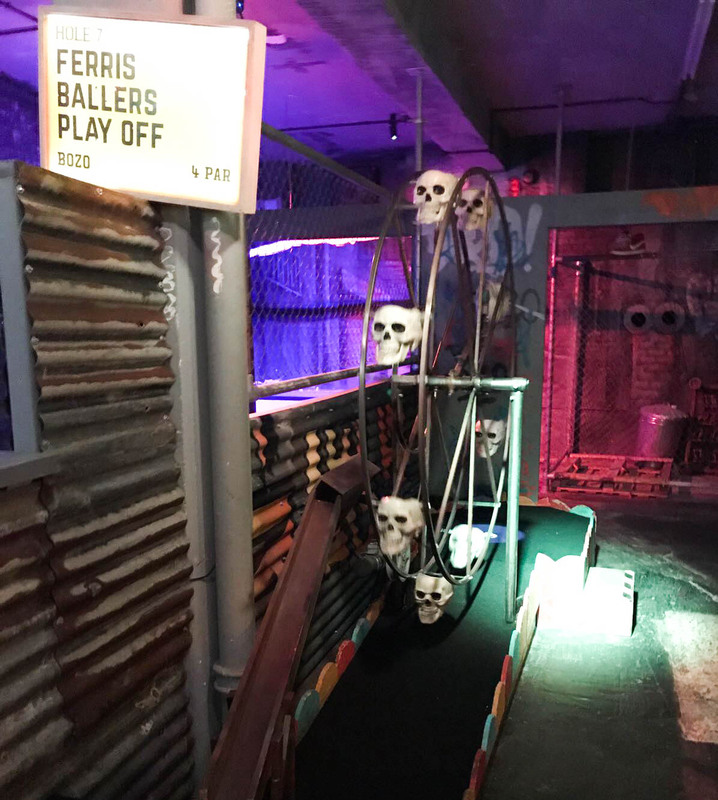 This was originally a pop up mini golf but it was so popular they ended up making it permanent - and you can see why! 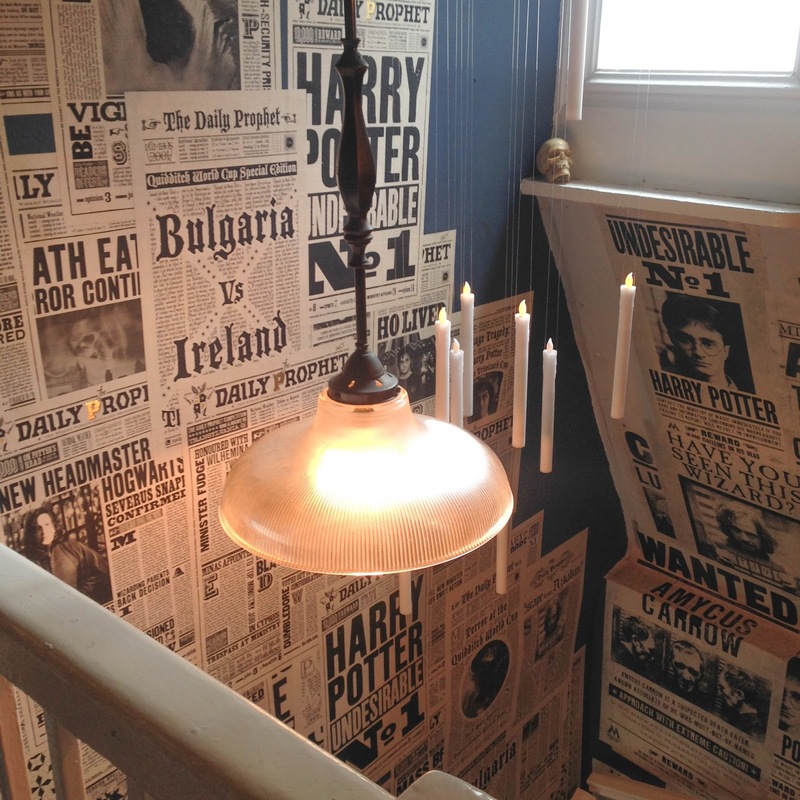 Inside, there is a bar with super affordable cocktails (for London..), beer and light snacks and 4 different themed courses. I got a cocktail which had friggen bonbons and cherry Lambrini in it! I know, the class. Needless to say, it was delightful in every single way and I regret nothing. 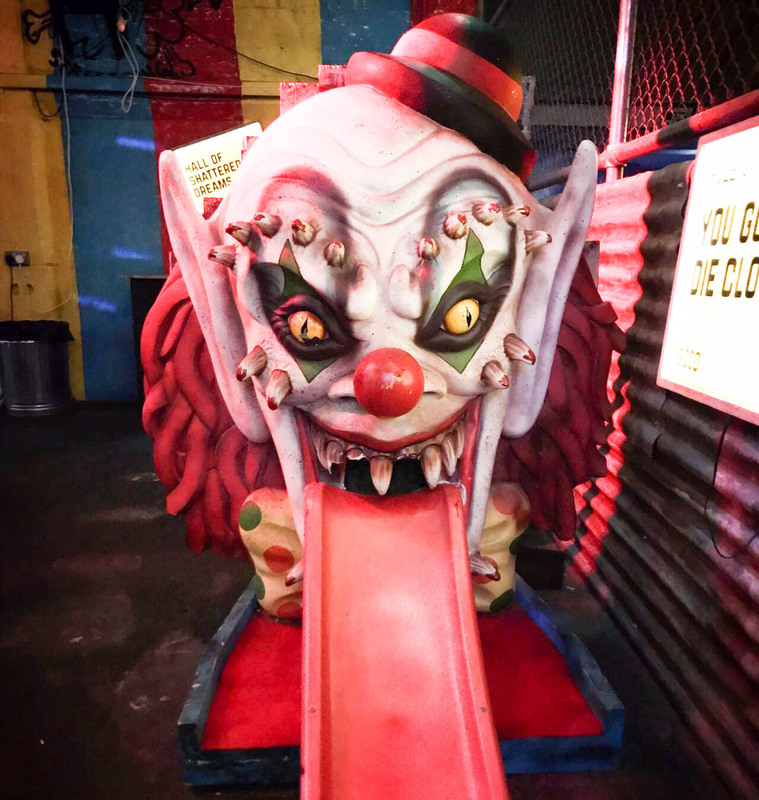 We'd booked ourselves in advance onto 'Bozo' which is a horror circus themed coursed, however not good if you have a fear of clowns (**TRIGGER WARNING** Do not scroll any further if you hate clowns). As we weren't sharing this course with anyone at the time, we managed to get round pretty quickly so it only seemed right to book onto another course and make the most our evening! The next course we did was Pablo - A crazy music themed course (with a guns and roses treehouse!) which turned out to be my favourite of the evening! 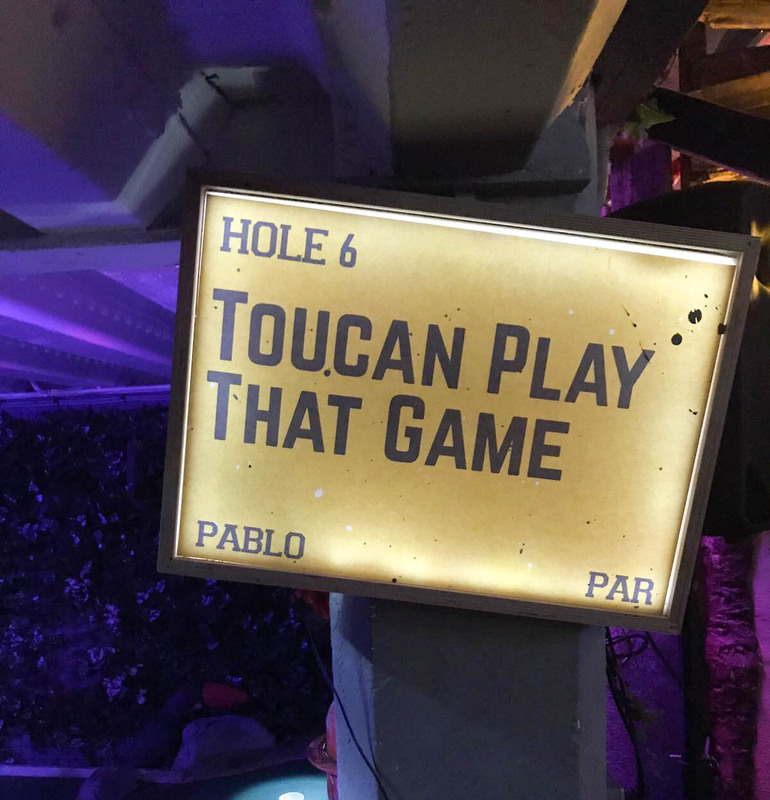 Each hole had a different name and oh my god.. THE PUNS. I was in my element. 1 cocktail, 3 beers and a shot of Apple Sourz down, I was 100% loving life at this point. I think I managed to lose both courses but it was worth every second. 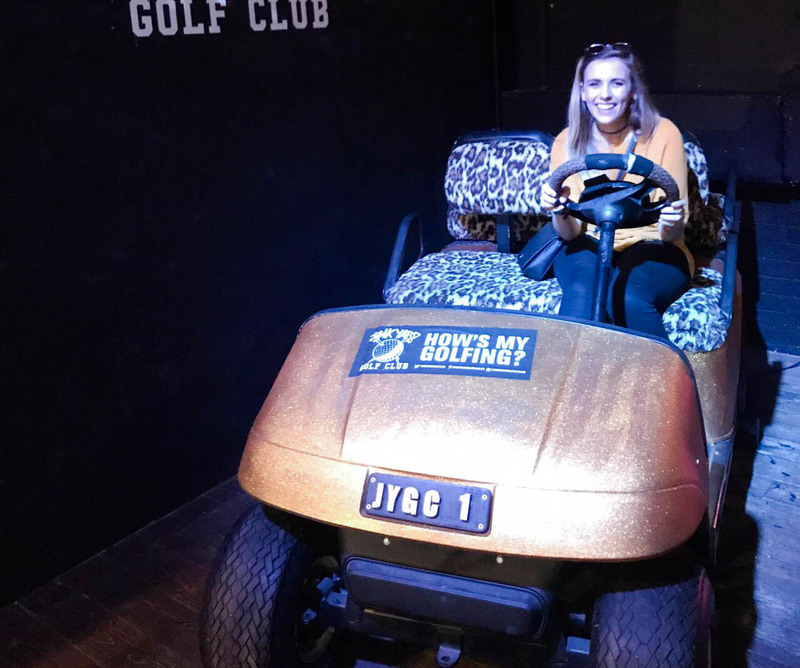 The thing I love about Junkyard Golf is that there are no restrictions on drinking, and there are bars and seating areas half way around each course so you can take it at your own pace. Also, if you are a student, there are special half price deals on certain days. Unfortunately, we are way past that now but if you can make the most of it, I would definitely recommend it! As if we weren't drunk enough after golfing, we decided to head to the Ten Bells which is supposed to be one of the most haunted pubs in London (where Jack The Ripper set foot back in the day!). It's a very quaint, traditional pub with the bar in the centre and plenty of local craft beers, ales and ciders on offer. Unfortunately, nothing spooky happened to us but it was cool to experience it! And THENN.. for the end of the night finale! We popped just round the corner to our favourite affordable pizza place in London, Pizza Union. This is such a hidden gem in Spitalfields where you can get proper fire-baked thin & crispy pizza for as little as £3.50.. in just 3 minutes! (Yep, I'm serious!) I can't even tell you how amazing the pizza tastes too. I'm salivating thinking about it now. THE next day after a Costa and a bacon sarnie, we headed back into central London to do a spot of shopping on Oxford Street. Of course Lush was an absolute must because exclusive and Harry Potter bath bomb needs. We had a quick-ish browse in Primark too before heading to House Of Minalima. 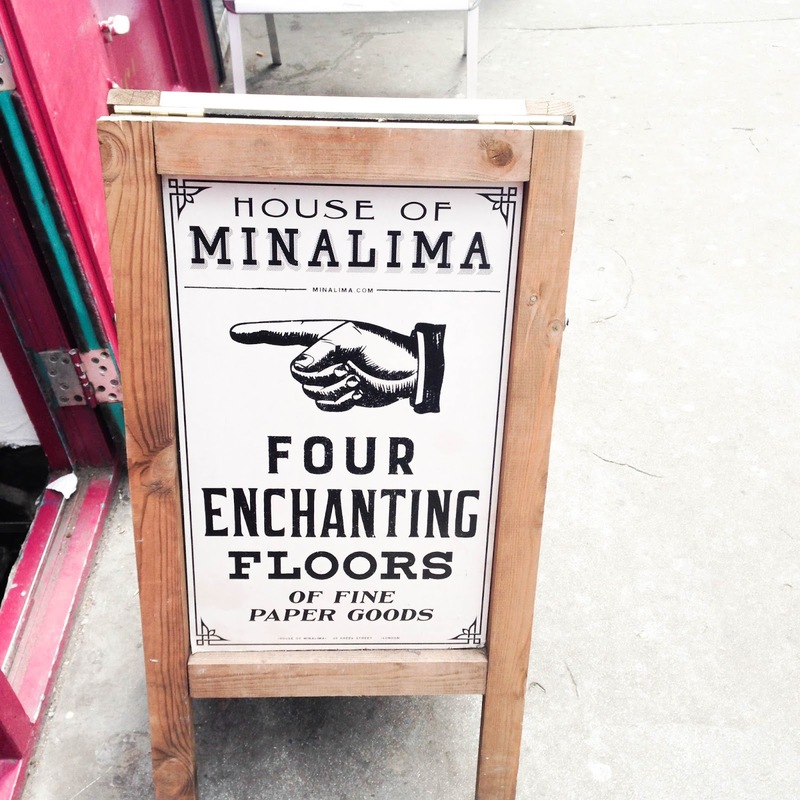 House Of Minalima is a 4 story exhibition based on Greek Street, Soho (formerly the Creme Egg Cafe) that show off all the props and artwork from the Harry Potter films and Fantastic Beasts. 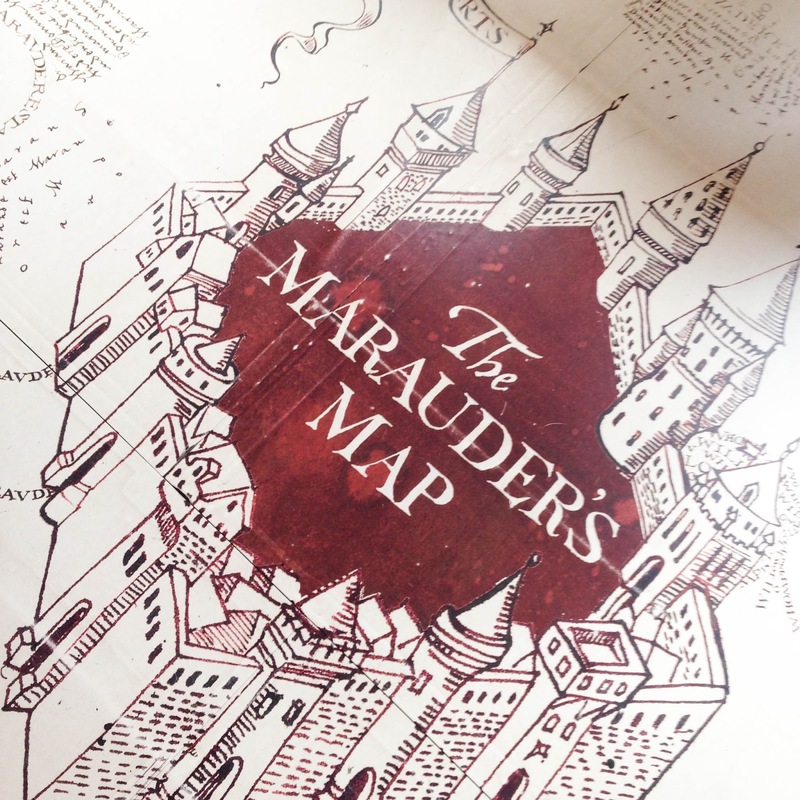 It's any HP lovers dream and on one of the levels, the whole floor is Marauders Map. 100% Insta-worthy. As we visited on a Tuesday,we managed to miss all of the crowds and sailed straight in. Downstairs is the gift shop with plenty of books, artwork and stationery to choose from, then the next 3 levels are the exhibition. 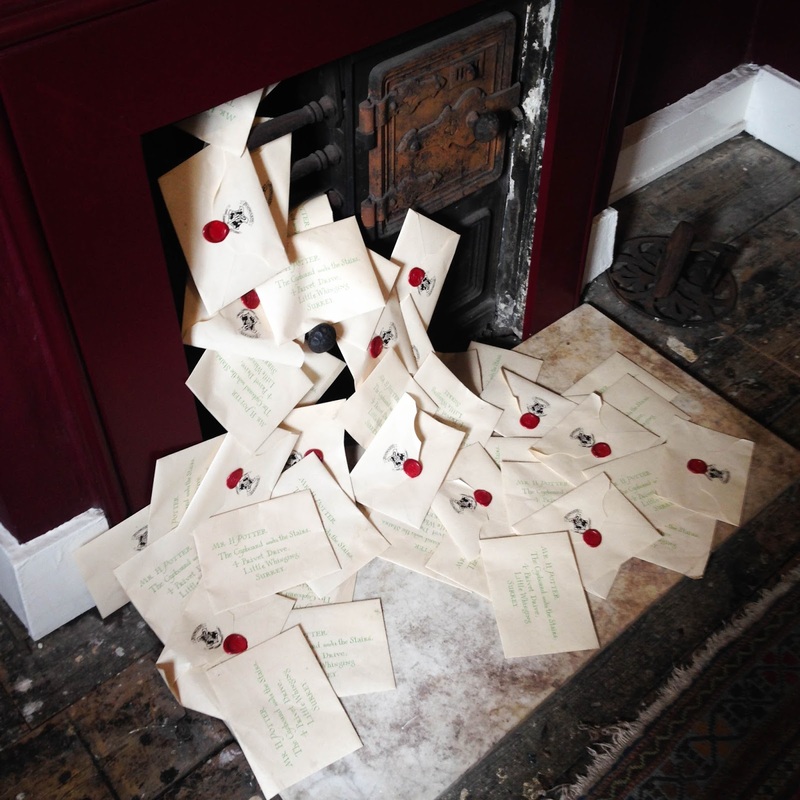 It is totally free to visit and open from 12pm-7pm every day with guided tours available. 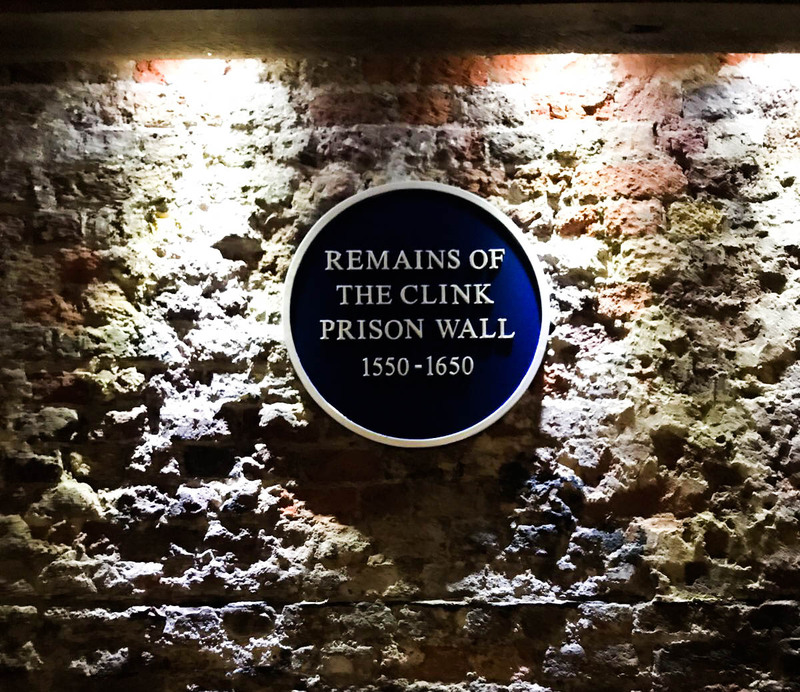 After another quick coffee stop, we headed to the London Bridge area to check out The Clink Prison. 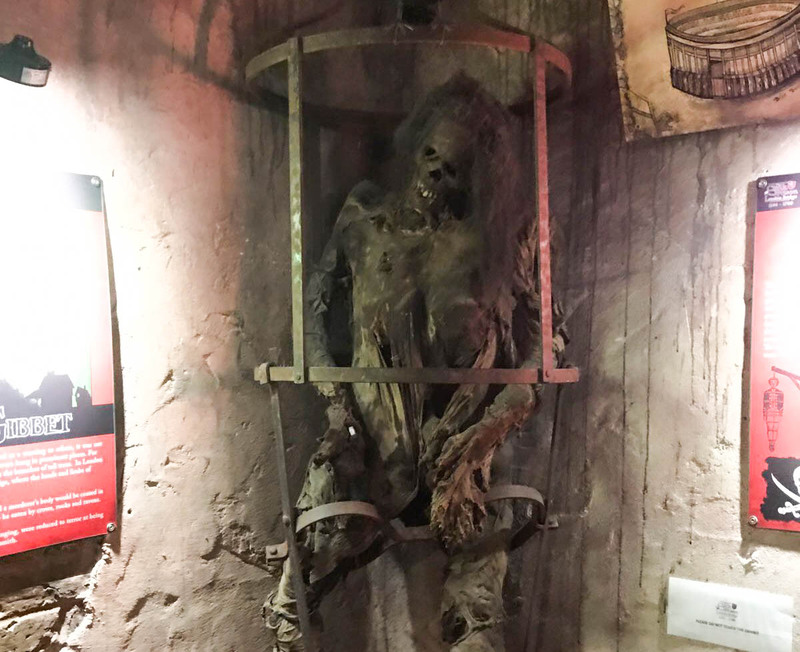 The Clink is basically an old medieval prison which is now a museum (obvs) which has some super interesting facts about the prisoners it used to house there back in the day, ways criminals were tortured, all sorts of different crimes and how you could be punished for them. You even get to hold (and fake try) some of the devices yourself. So yeah, not a very child-friendly place incase you didn't already realise. It's £7.50 each and lasts about half an hour with free photos at the end! 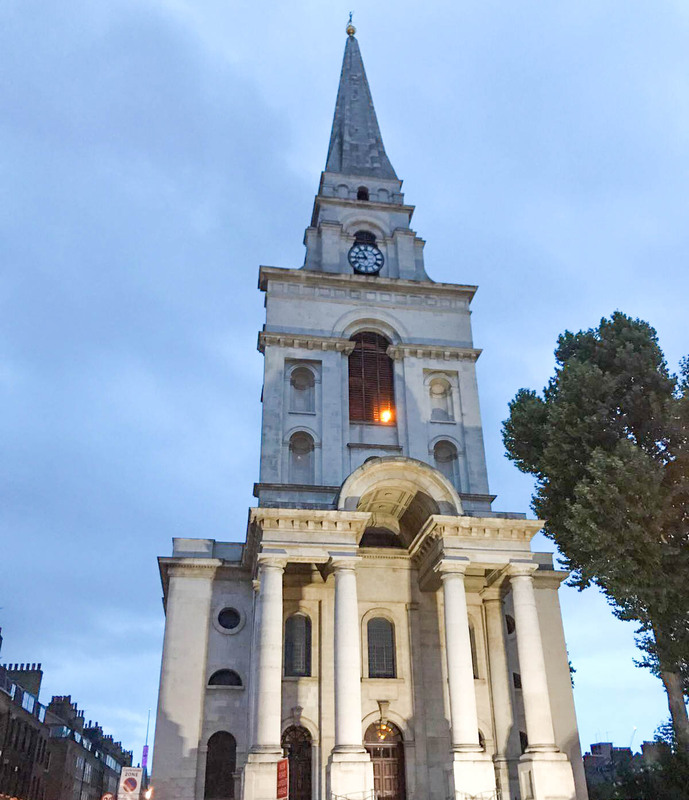 Of course we had to do it..
We grabbed a Wagamama for a spot of dinner which was literally a 2 minute walk from The Clink. En route we walked past a Harry Potter walking tour (so annoyed we didn't book on that!) 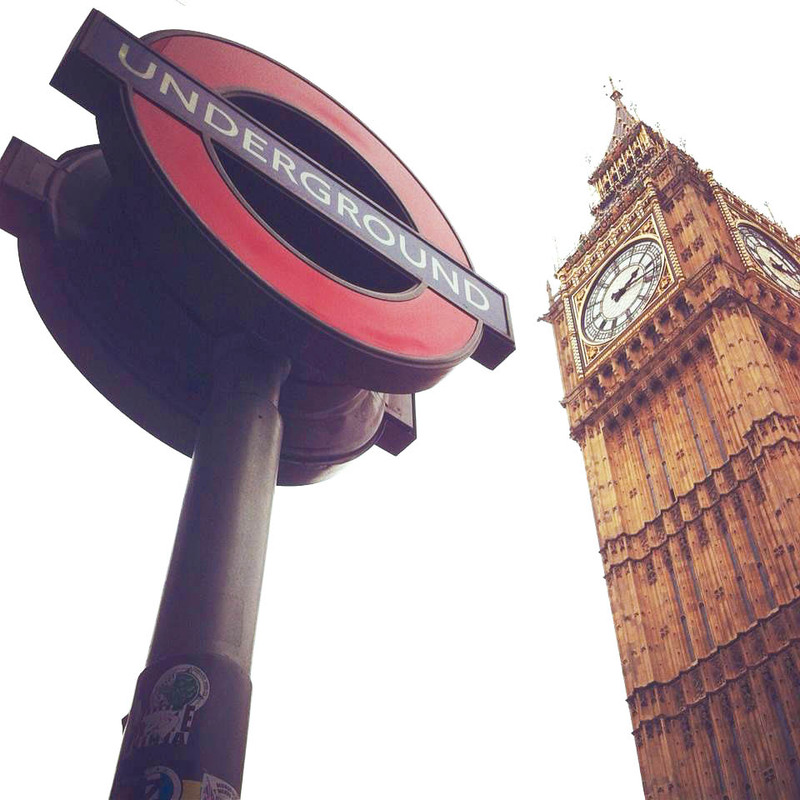 which is definitely on the agenda next time we go to London! 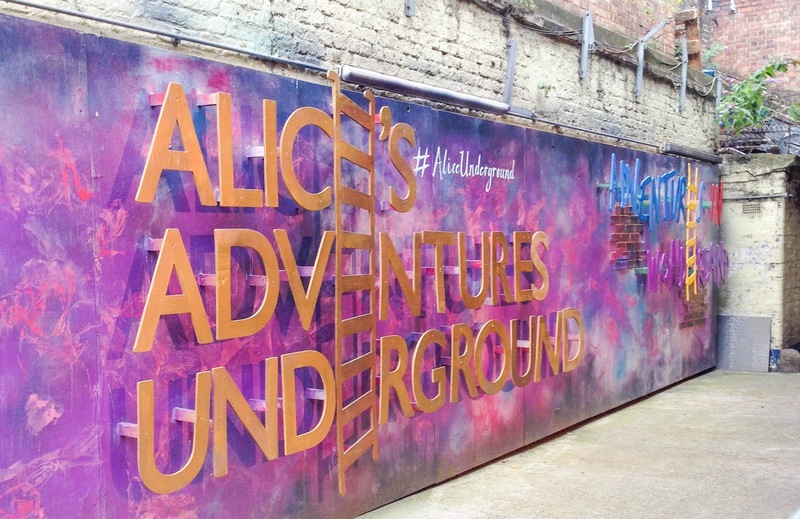 By this time, it was time to head to Waterloo for the long awaited Alice's Underground Adventures. This is based in The Vaults underneath Waterloo station and is a production put on by Les Enfants Terribles. 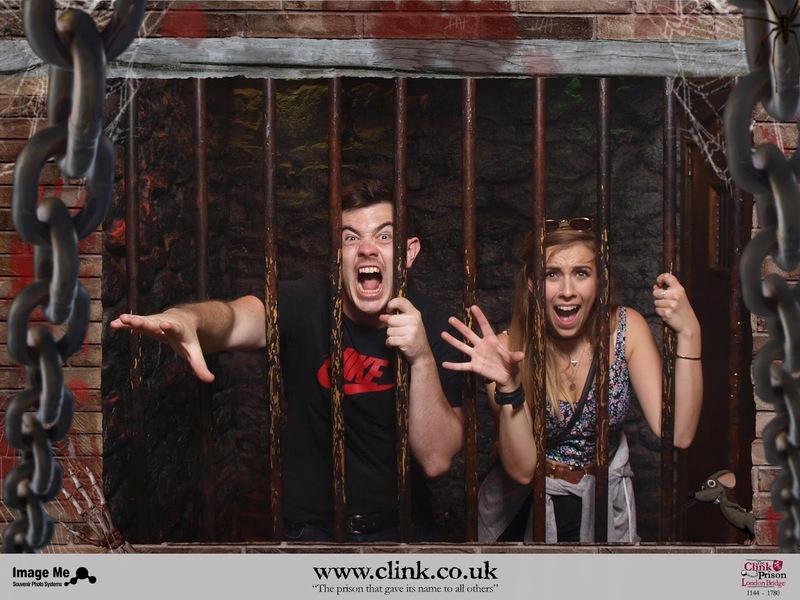 We actually went there last year for Goosebumps Alive! which was bloody amazing so I had high hopes for the Alice one. It is basically a live theatre experience which is almost like a maze where different actors guide you around on your chosen path (aka. Eat Me or Drink Me) and you get put into suits based on cards. 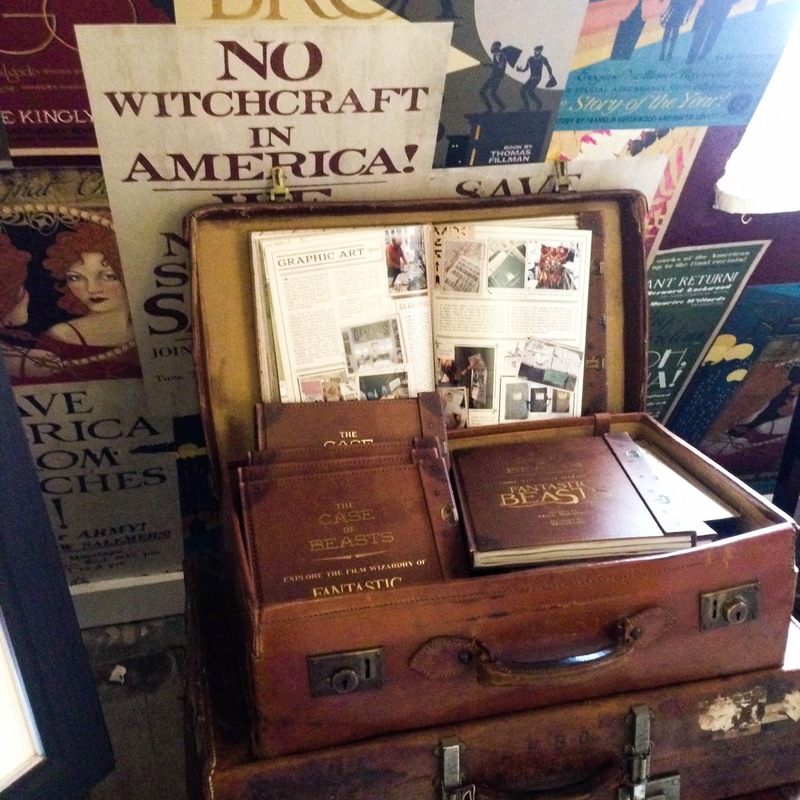 It was so cleverly put together and the whole thing was absolutely superb with hints of horror thrown in! 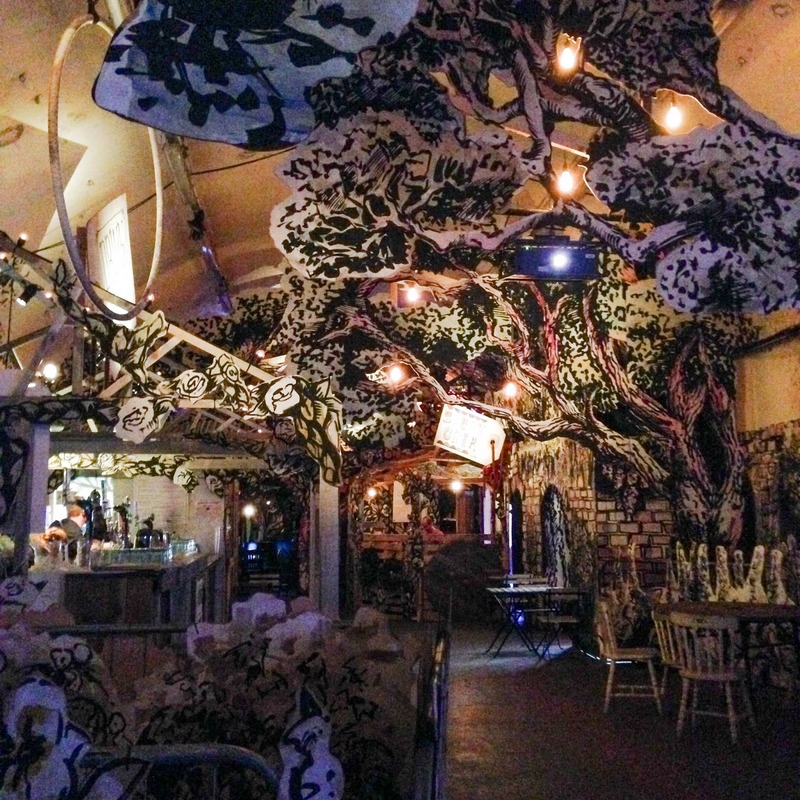 Not to mention the Alice in Wonderland themed cocktails at the bar.. Mine had Strawberry Jam in it for gods sake! IT WAS SO DELICIOUS. If you get a chance to go to this, I highly recommend it! 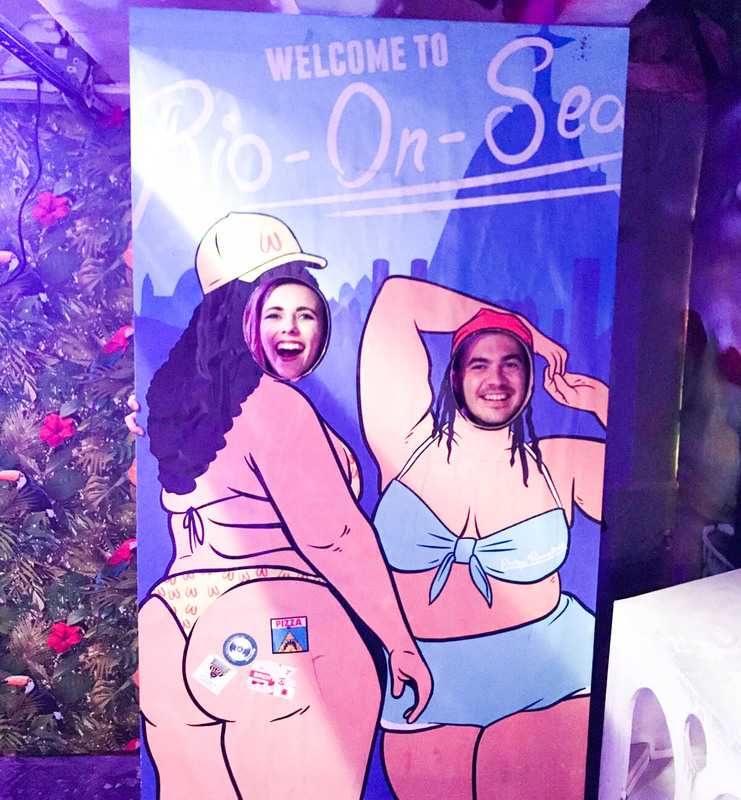 We both had a blast. I really want to go again and I'll be interested to see what ideas they bring to life (or bring back) next year! After all the fun, it was time to head back home for a much needed rest. We had a great, full-on few days and I'm sure we will return next year for some more adventures! :) I'd love to know if you've been to any of the places I've mentioned. Let me know in the comments! Their manager rocks! Thanks to their great team, I'm so happy I chose this venue for my event! I had a great time at venues in Chicago and think the atmosphere is as good as it gets. I will be astonished if I ever find a negative review on these guys.